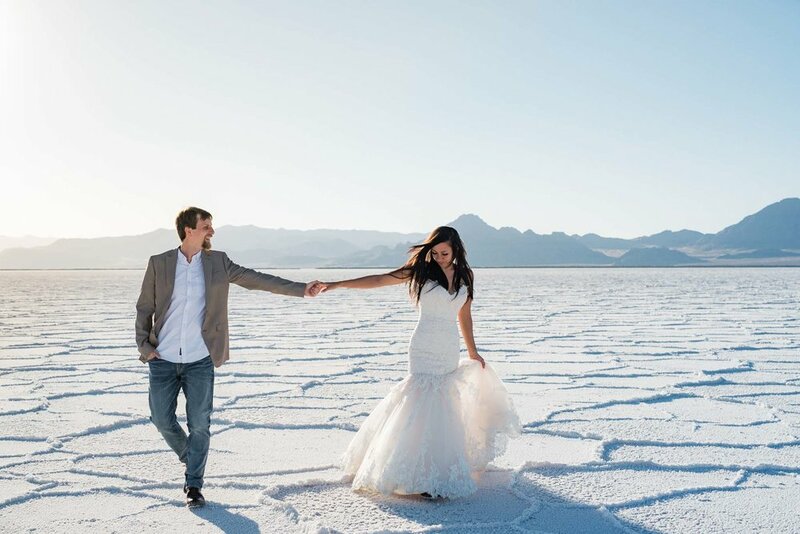 We are Utahlorado-based (Utah + Colorado) and we’ll travel anywhere and everywhere to document couples in love. Every love story is an adventure as unique as the lovers who define it. Whether you’re getting married on a secluded mountaintop, an intimate backyard, or the church of your childhood, we believe your story deserves to be told beautifully. We’re all in, so let’s do this! Or scroll down to learn more about us and our work! Like what you see? Perfect, our bags are packed and we’re ready to go, just tell us when and where! We’re all in, all the time. 2 professional photographers and all-day rates for every wedding! We’re committed to being flexible, fun, stress-free, and easy to work with so you can love your wedding day as much as we loved ours! See the stories we’ve told! 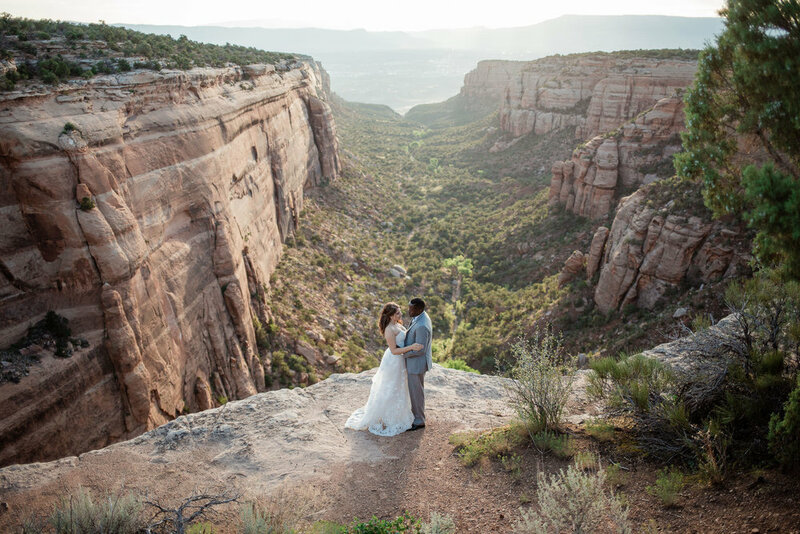 We’ve documented elopements in San Francisco, epic mountain weddings in Colorado, intimate vow renewals in Utah, and adventure sessions everywhere in-between. We balance each other out, drive each other crazy, and love each other deeply. We are lovers of adventure, travel, and Jesus. We're fun, easy-going, adaptable and completely committed to making every wedding as stress free as possible. We're passionate about creating beautiful photography and preserving every detail, emotion and story. We're also all about those dance parties, so if you have one, you can bet we'll be right in the thick of it with you! Kyle is the resident hooligan. He's crazy and rambunctious with a hint of a rebellious streak. He keeps her wild and takes care of her when things get a little scary. Tori is the slow and steady. She's thoughtful, methodical and organized. She keeps him safe and on track when he gets a little ahead of himself or forgets to eat. Are we best friends yet?! Get to know us even more! More than anything, we want you to love your wedding day as much as we loved ours. We're committed to being flexible, fun, stress-free, and easy to work with. Just you and your love and the start of your adventure together. We'll go anywhere in the world with you, be your witnesses, and tell your story. Whether you're just beginning your adventures together or celebrating another trip around the sun together, we want to have an adventure with you. Check out our real weddings, elopements, and adventure sessions as well as tips and tricks for wedding planning! Stay up to date on our travels by signing up for our newsletter! Then you can hit us up next time we’re in your area! We get to do what we love for a living thanks entirely to our awesome couples and that means the world to us! So to show our gratitude, we’ve decided to give a portion of everything we make to Thirst Relief International, a non-profit with a simple mission: Change lives and communities through clean water solutions. Thanks to the love and support of our couples, we’ve been able to provide more than 450 people with clean water for 25 years in 2018!